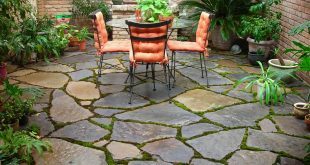 We all love to spend time outside, especially we love to lay back in our own backyard. And the time has come to get lazy, the summer is here. However, the sun can get a little overbearing sometimes. Hence, it generates quite an intense heat and a harmful radiation that most of us would like to avoid. But if you love beautiful summer days, do not worry. 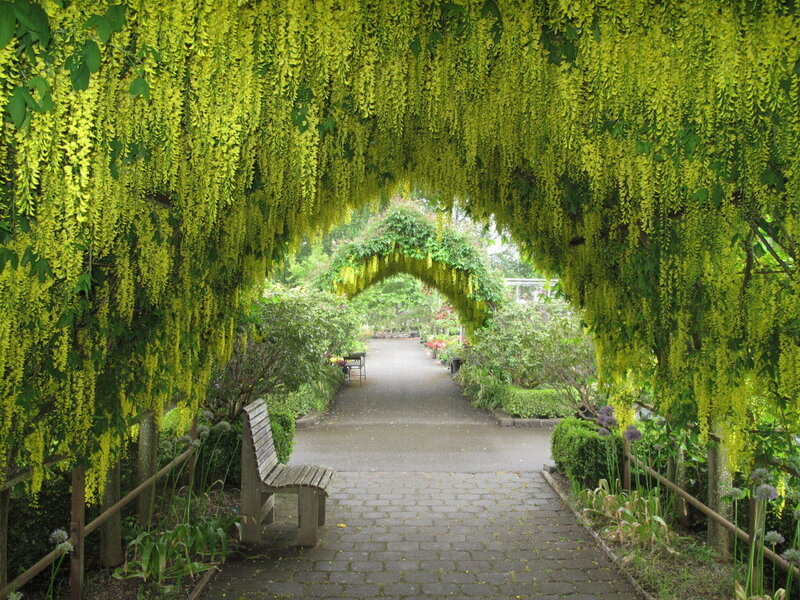 You can still enjoy them if you have some plant arbors in your backyard. 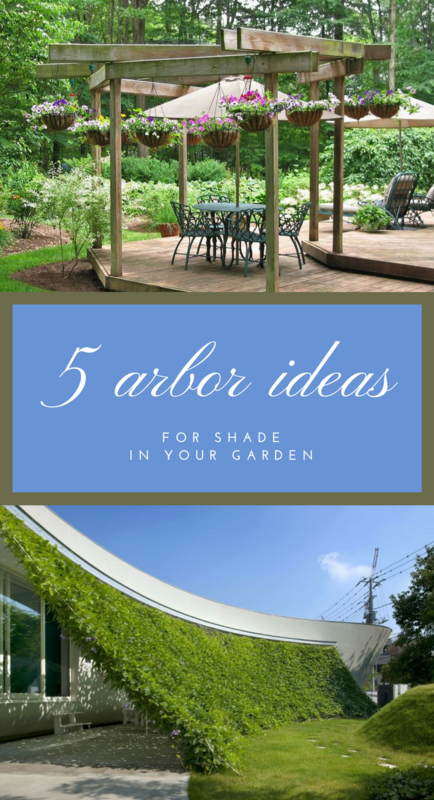 Thus, keep reading and see my favorite 5 plant arbors ideas to get some shade in your backyard. Not to mention, casting shade will also come with an aesthetic complexity you will be proud of. 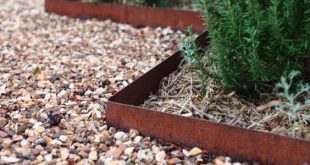 Thus, get ready and make yourself a shady oasis that not only looks good, it will last you a while and it will protect you from the intense heat of the summer. To get ideas, check out the photos below for a few tips about throwing shade on summer heat. 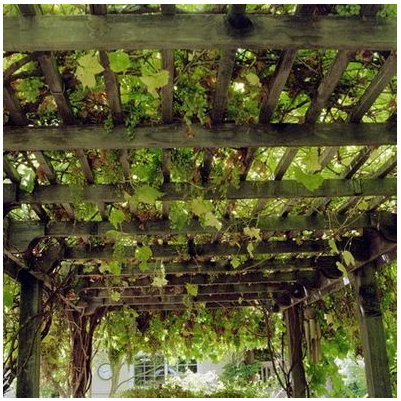 You can have an amazing grape arbor. Besides getting the protection you would need from the summer heat, there is another benefit of having this. You also get homegrown grapes, a nutritious crop with little maintenance. Moreover, this crop can actually produce several pounds of fruit just from a single vine. Check out below for the picture, doesn’t it look amazing? 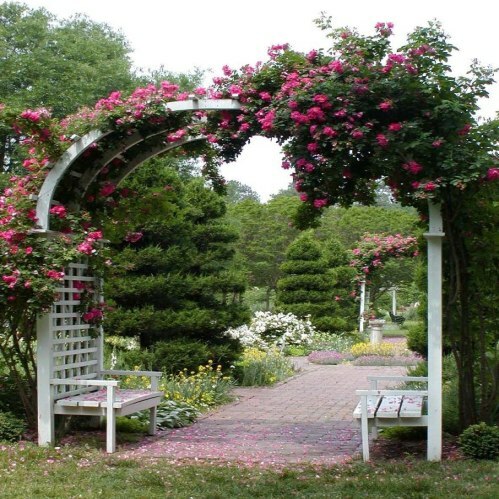 Furthermore, who doesn’t love this romantic idea of climbing roses arbor. Not only you get to have many colors, shapes and growing styles, you could also grow the roses you love the most with little maintenance. Check it out below, what’s not to like about it? This is something I personally would adore. Look how amazing it looks, just like a green living curtain. 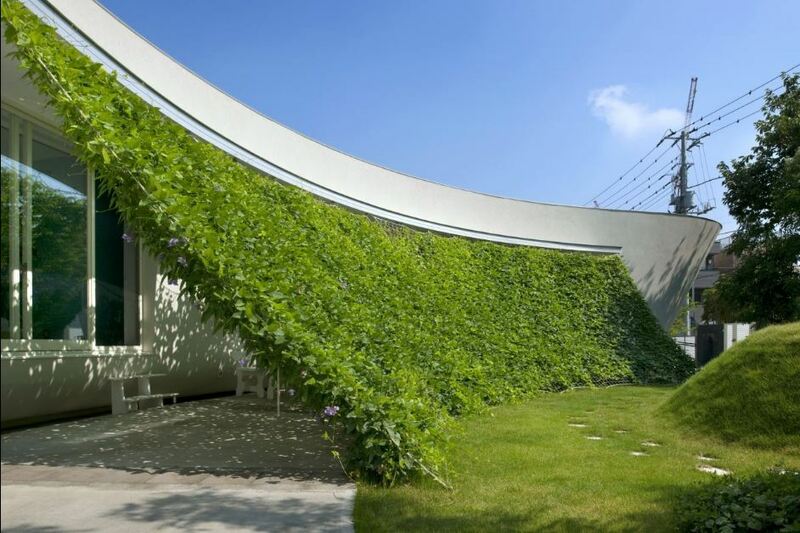 This vine-covered green screen, for example, was designed by the Hideo Kumaki Architect Office in Saitama, Japan. There will be such a huge temperature difference under this little oasis. 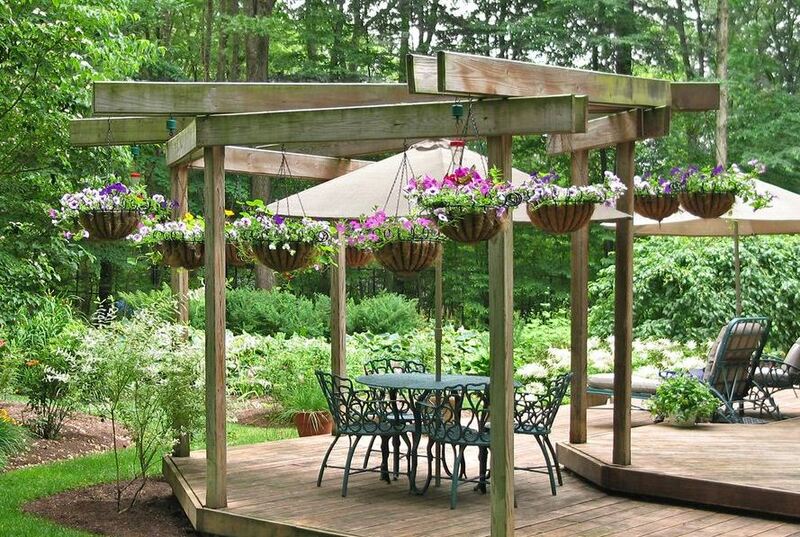 If you install a pergola, for instance, you could start with a couple patio umbrellas and then hang potted plants from its beams, like in the photo below. If that doesn’t cool things down enough, you could train vines up the posts to help fill in gaps. 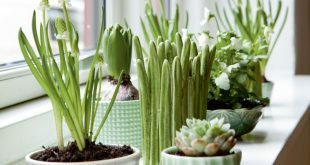 Or, if summer is too far along to wait for beans or bougainvillea to grow, you could just string up a seasonal shade sail or curtain.